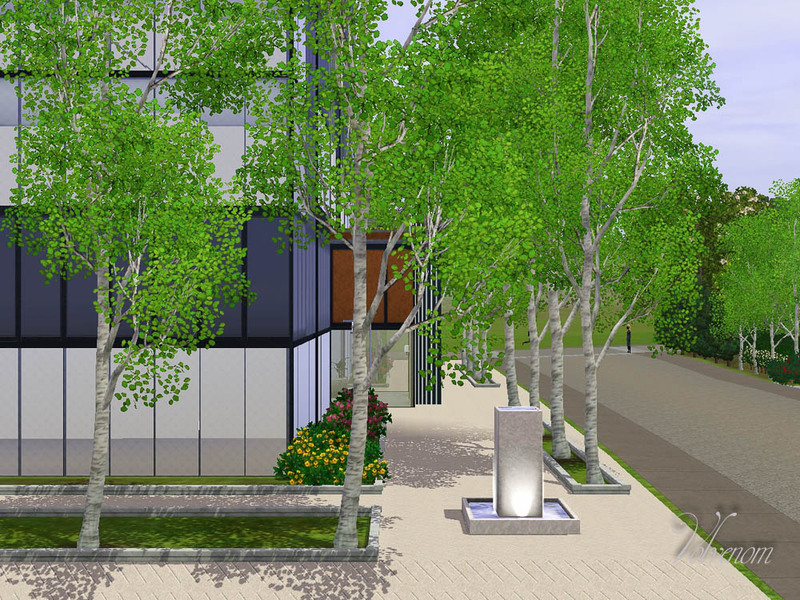 This lot is based on the Barcode area about to be built in Oslo, Norway. 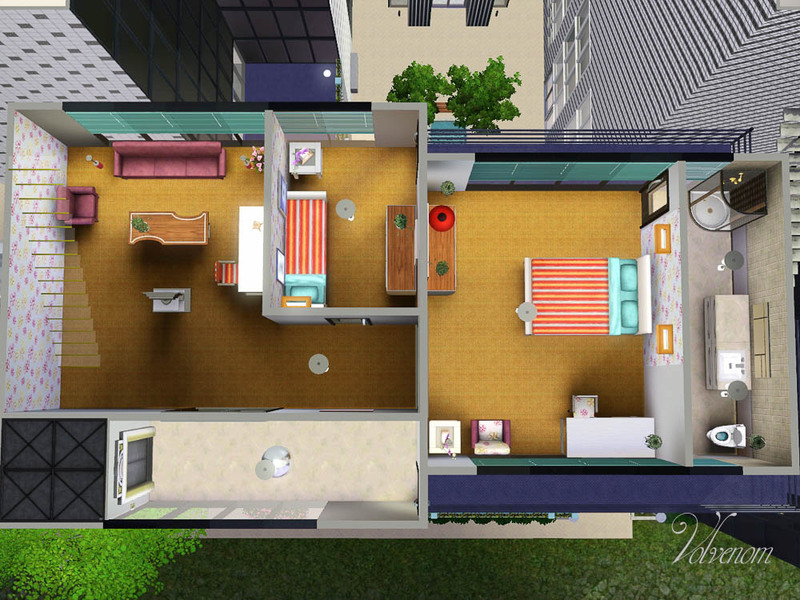 Naturally I can't make the real thing in this game, I only have 5 floors to use. 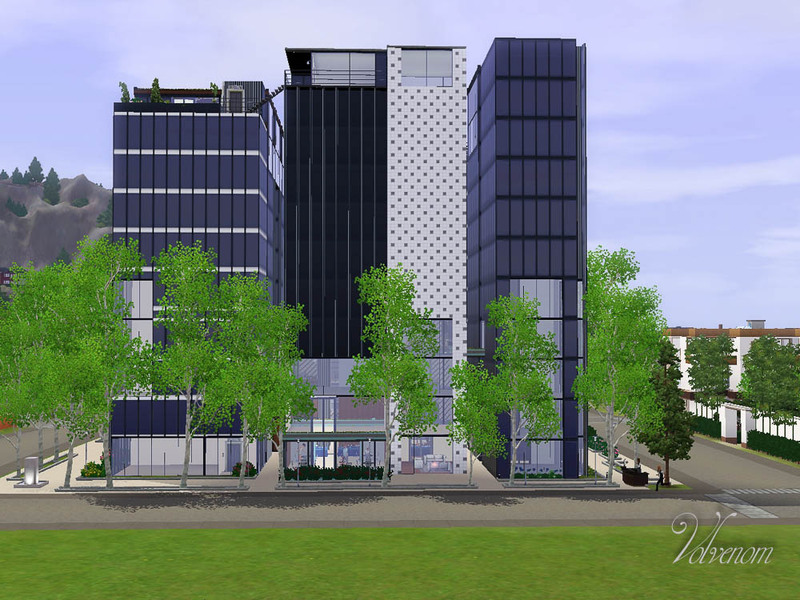 Barcode is a shoppingdistrict with offices and apartments mainly. 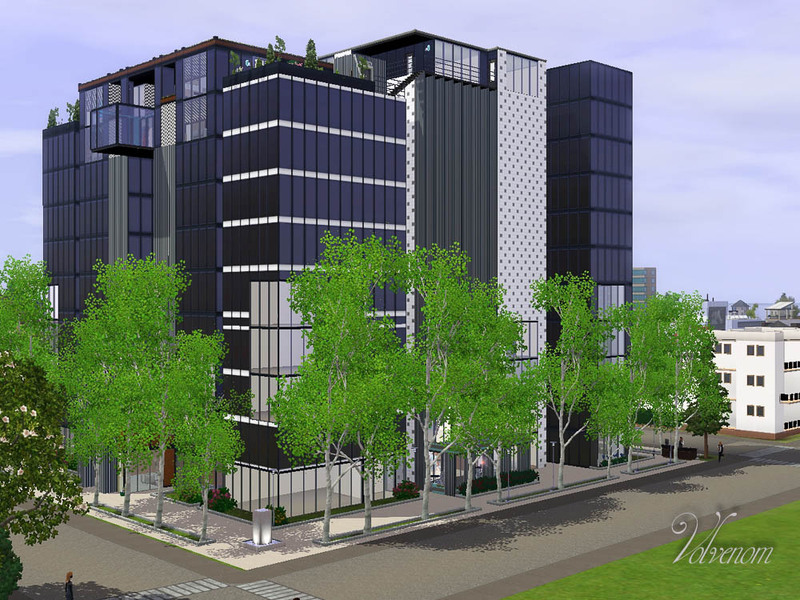 I made it for shops, apartments and 2 penthouse flats. It's likely to be suitable for world builders or players with big plans. 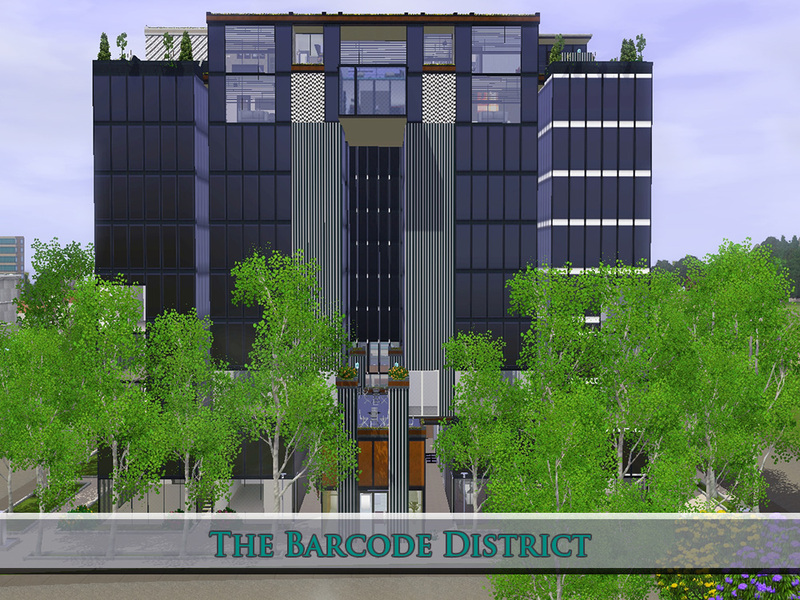 One thing I think the real Barcode is missing is flowers, restaurants and tempting seating areas on ground level. I tried to make it more human as i decorated it. This lot is a bit heavy on the comp, at least as a resort. 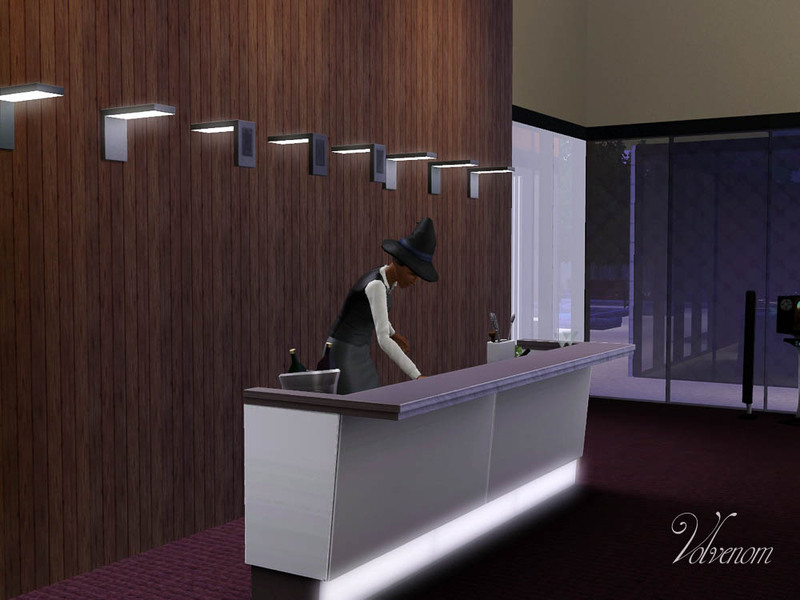 You could click on some of the doors set as VIP rooms and remove the status. 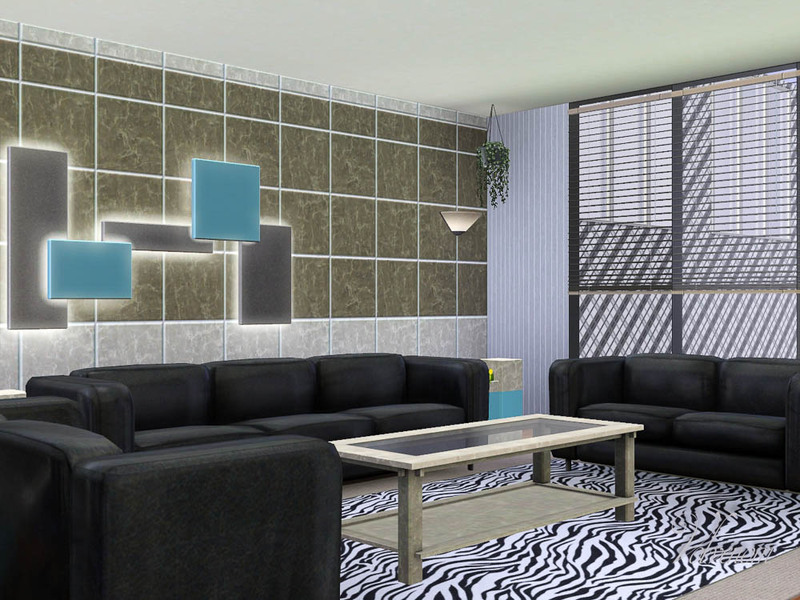 For the residential version you could do the same with the NPC rooms if you like. 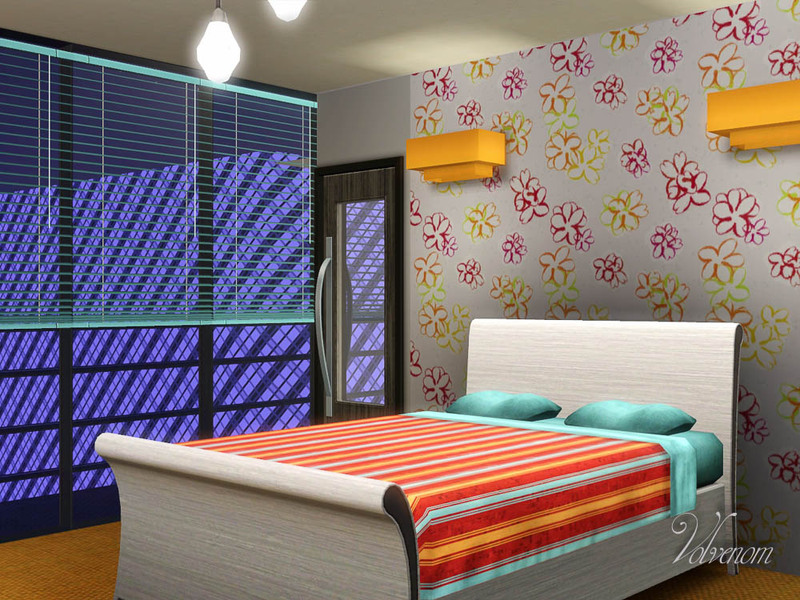 The residential version is likely to be more gentle to the comp though. 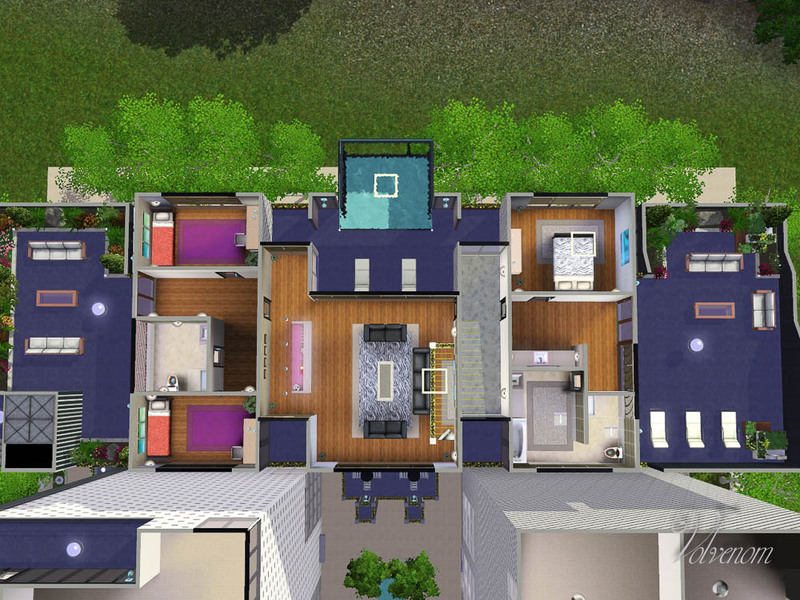 To do changes to the residential version you need to use the cheat "RestrictBuildBuyInBuildings False/True". Turn the restrictions off with False, then you can start decortating the lot. The cheat will reset when you close the game, but you could just turn the restrictions on again with True. 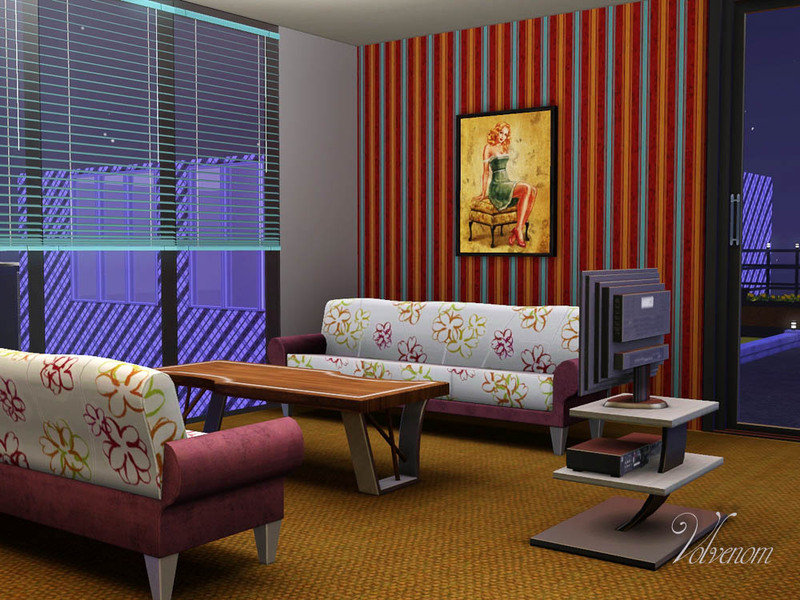 I have decorted 2 apartments for your active Sims, and used them in both download versions. As the original both versions has several rooms for shops on the lower floors, some rooms on the upper floors are also available. 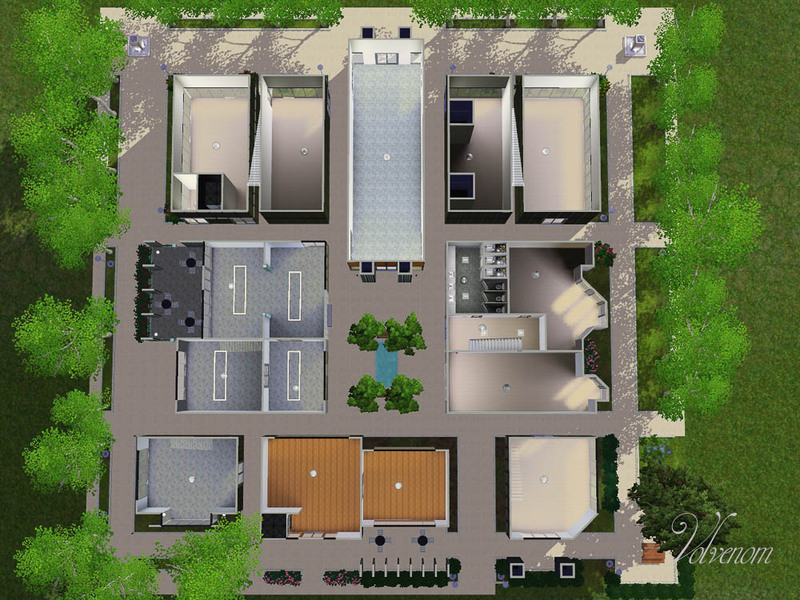 Choose Zoning: If you choose the residential version, you can have the two apartments for your Sims, but the shops will not work unless you find a mod to have a shop on a residential lot. 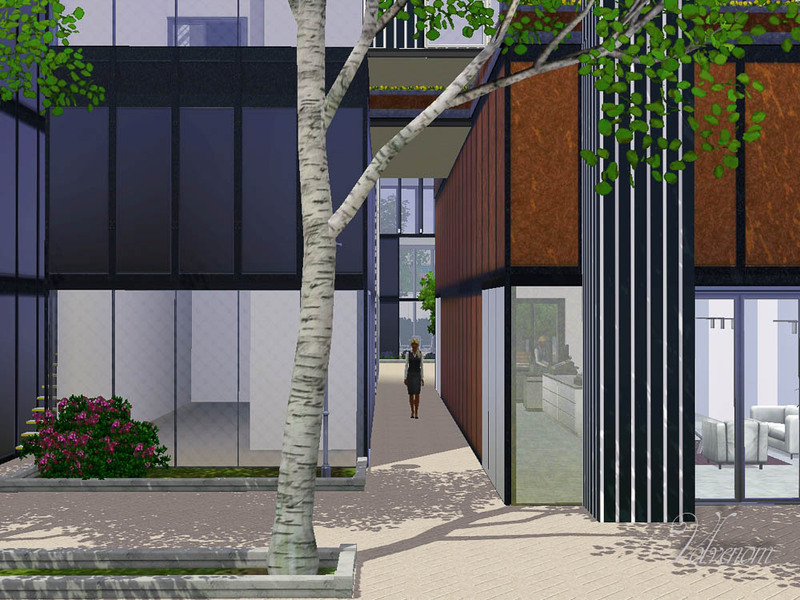 You can make it regular community lot if you like, but then you need somewhere else to live. 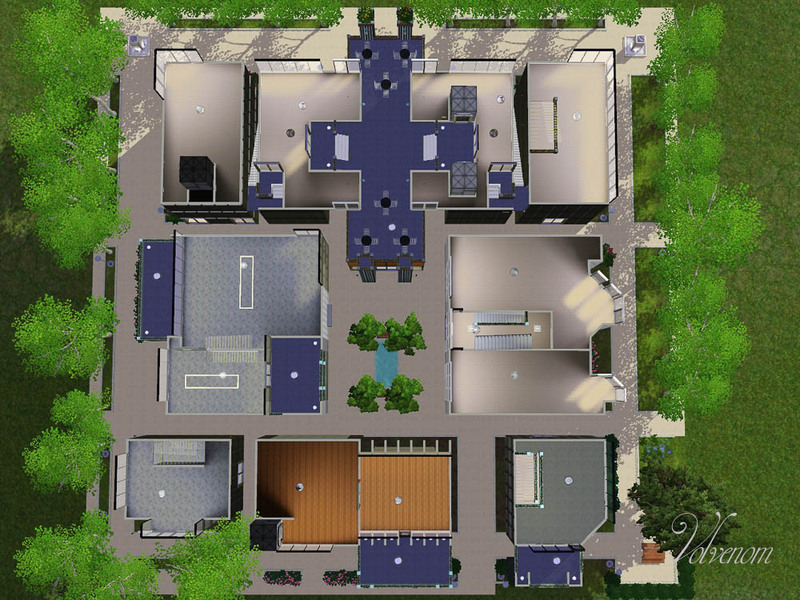 The Resort was suggested as a community lot because you can have lots of rooms, run shops and have an apartment at the top. 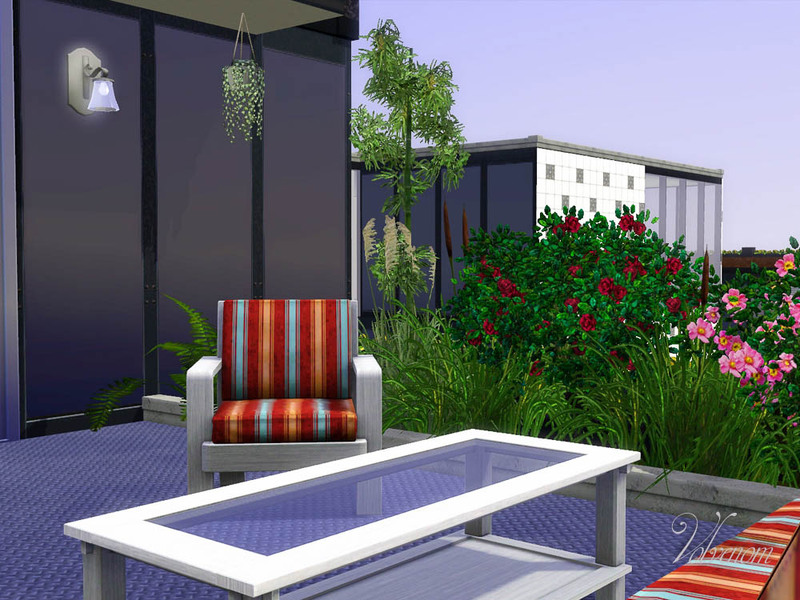 You still need a home lot though, unless you find yourself a mod to work around the limitations. There is several different options around, and i haven't checked them out I'm afraid. 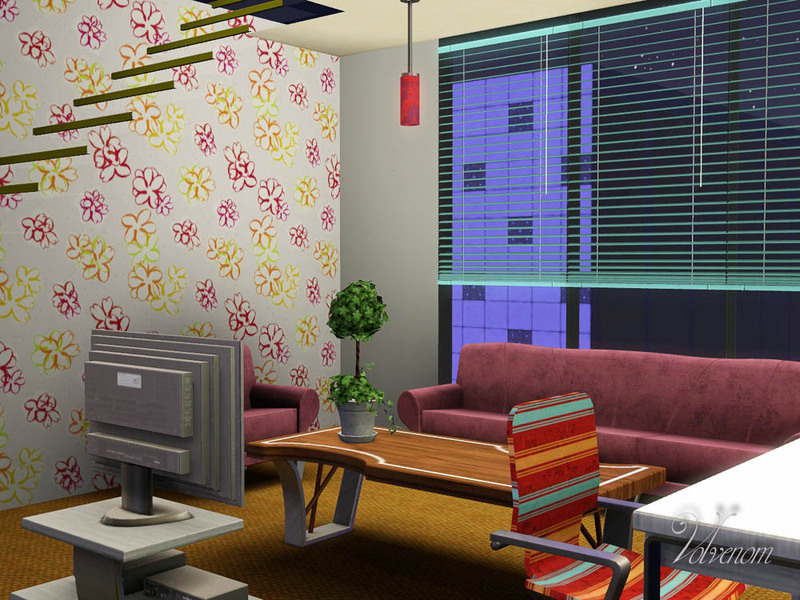 The rooms belonging to the resort has been decorated, except the basement with the rabbithole building ... that's the resort building with spa and such. The shops has not been decorated. 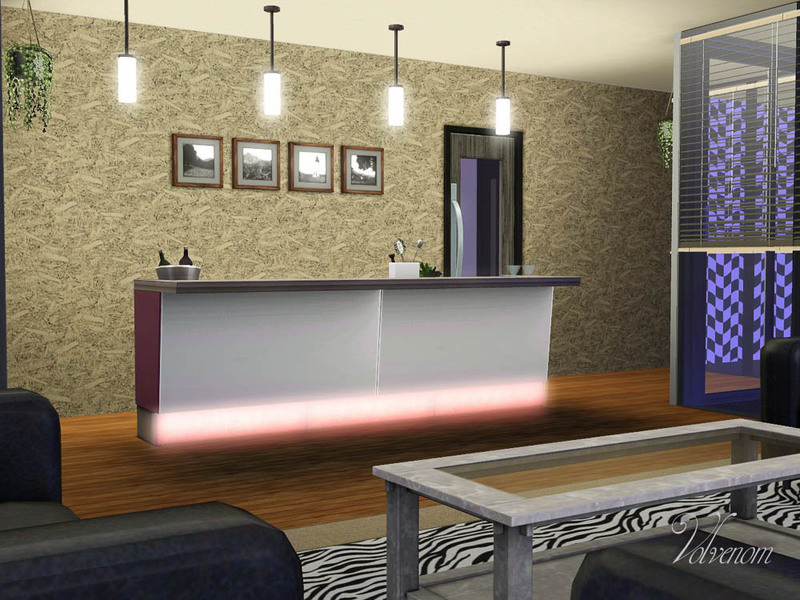 The 2 apartments has been decorated, the resort VIP rooms has one decorated bed. 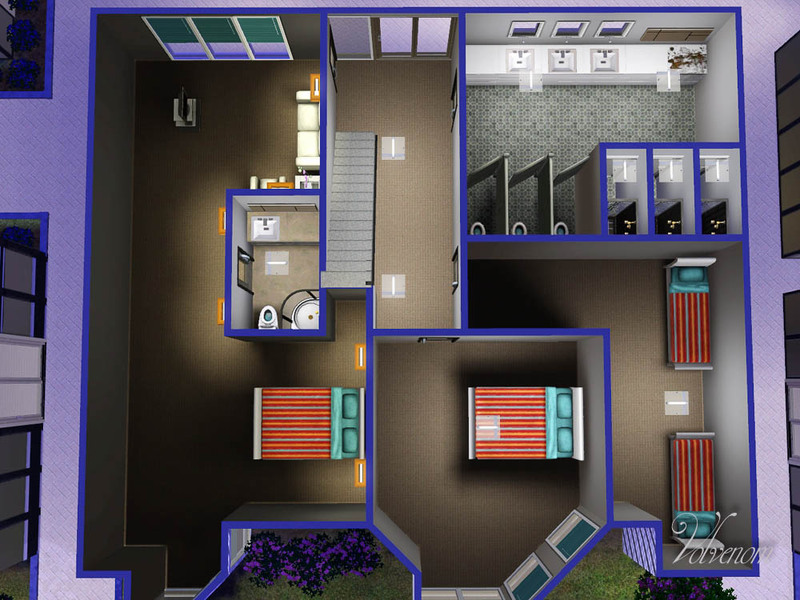 The NPC rooms has notting at all, not even a bed, as it's not needed, and not used by it's residents. 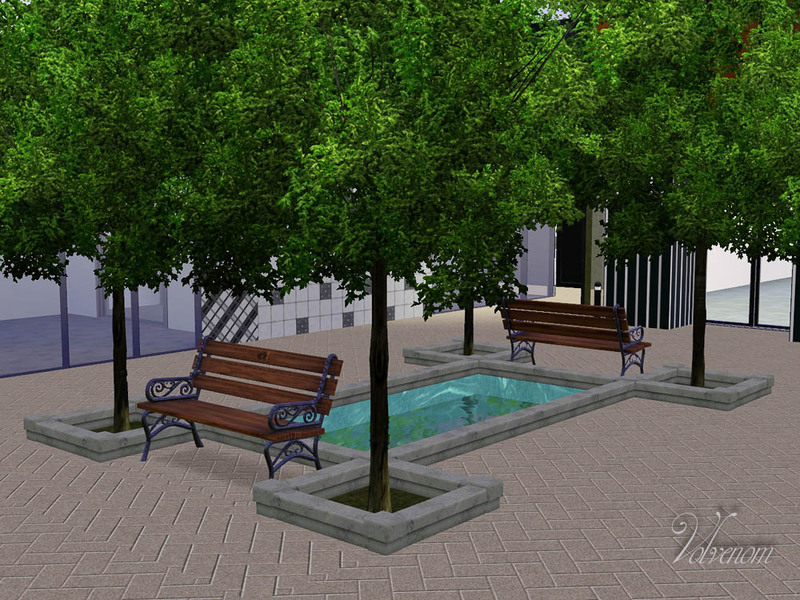 This square has several rooms for NPC's, and that helps the lot down to 149k furnished for the 2 furnished apartments. The NPC rooms has no furniture and appear all dark in the game. 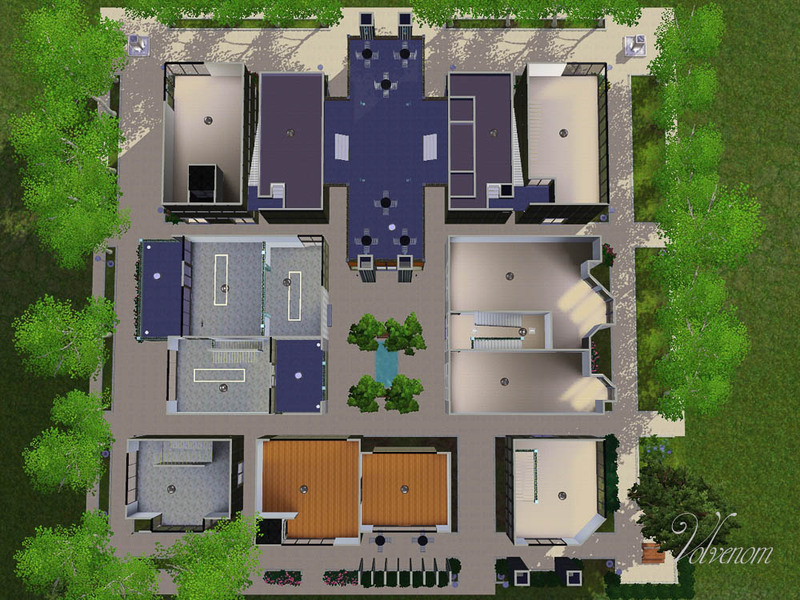 If you choose this version, your Sim need a home lot elsewhere. 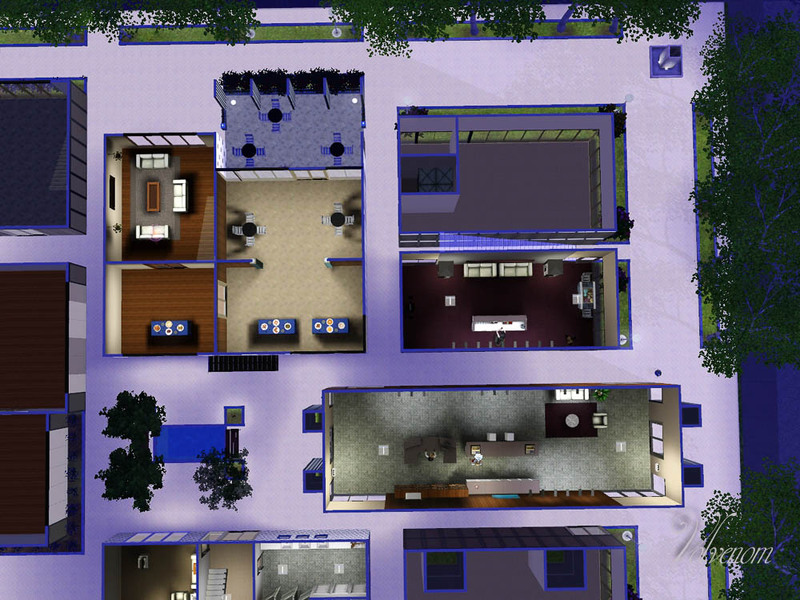 This Square has a resort lobby with a bar and food store on ground floor. One of the 3 floor stores has 3 buffee tables for breakfast, lunch and dinner. It also has tables outside for the guests to eat at. 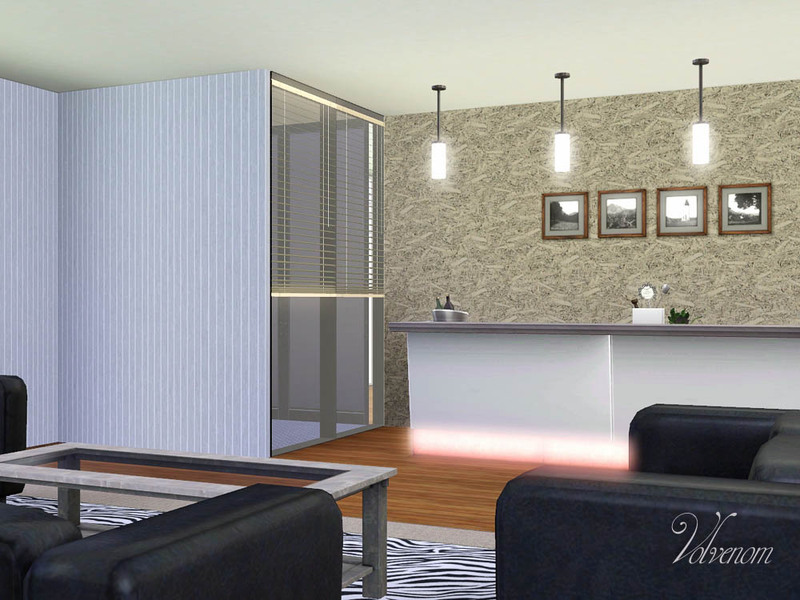 The NPC apartments on this lot has been transformed into room for VIP guests, they have been furnished mostly with only 1 bed. That's the explanation for the extremely high price on this lot. The needed resort building is in the basement. Remember you need Island Paradise expansion for this to work. Only in the resort version. It only house the resort building and has access via a staircase. a. 2 floor high penthouse with roof terraces, 3 bd, 3 ba, it's own pool in the sky, bar and an open plan main dining/kitchen/livingroom. b. A roof terrace cafe seating in the middle with two shops. 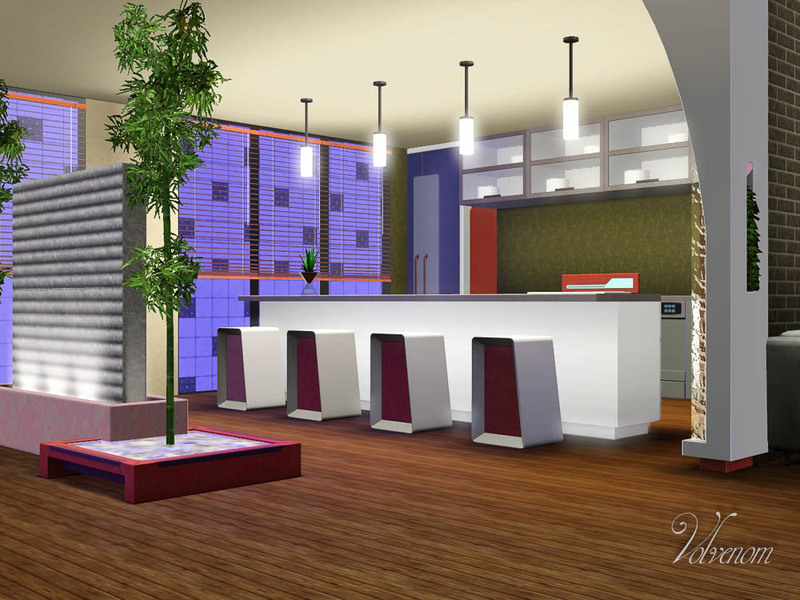 c. Ground floor with the lobby, bar and a shop for you to decorate in the resort. 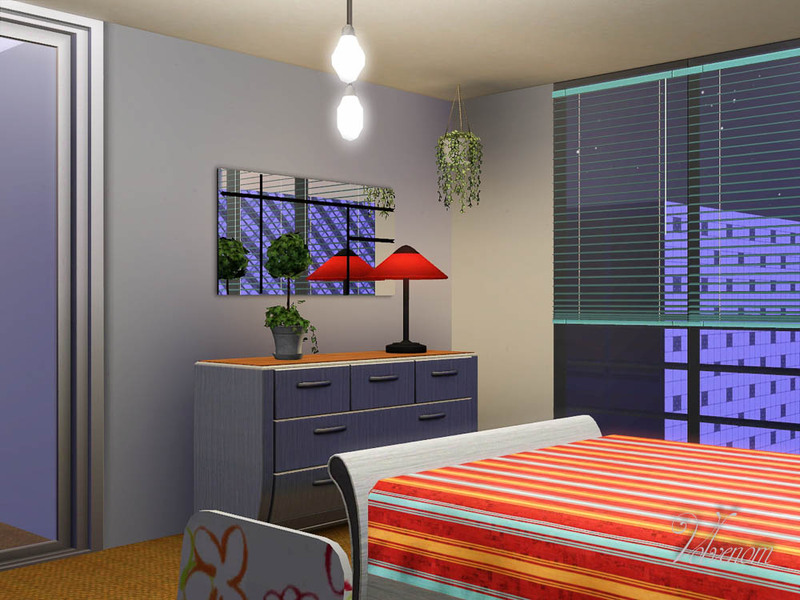 All undecorated in the residential version. 4 shop floors connected with an elevator. Roof terrace has access to another building's roof. a. 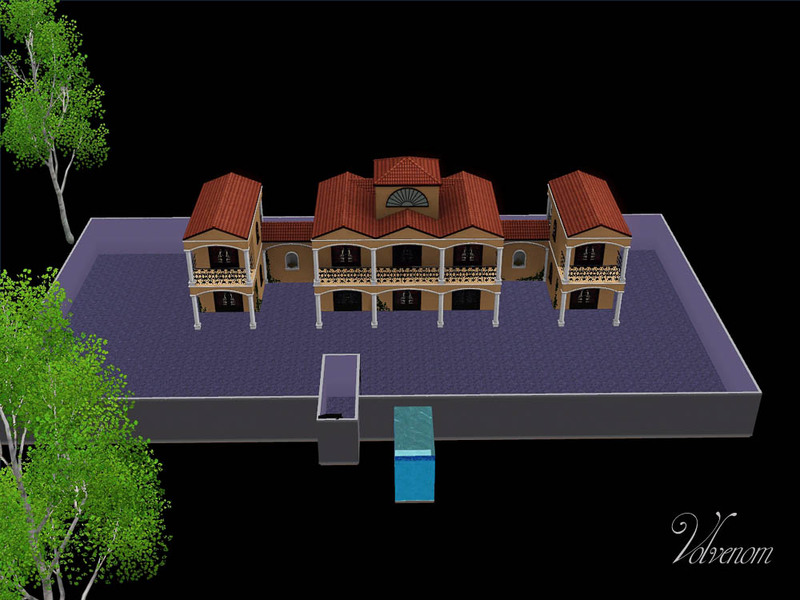 2 rooms accessed from the roof, used as VIP rooms or NPC rooms. b. 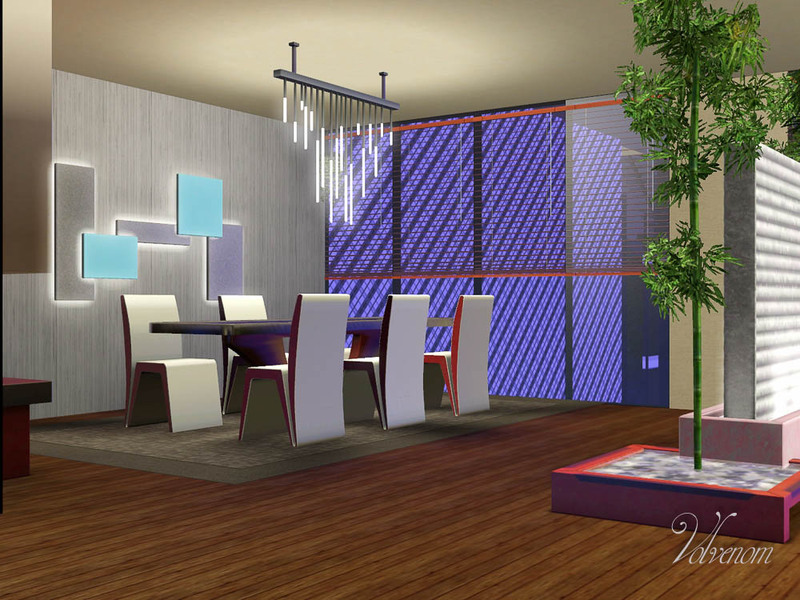 Ground floor used as diningroom for the resort, the residential version has nothing here. c. 3 floors above the diningroom undecorated and with several balconies. Staircase. a. From ground it has 3 floors with a staircase between them. b. Access from the top it has 1 floor with a staircase to the roof terrace. 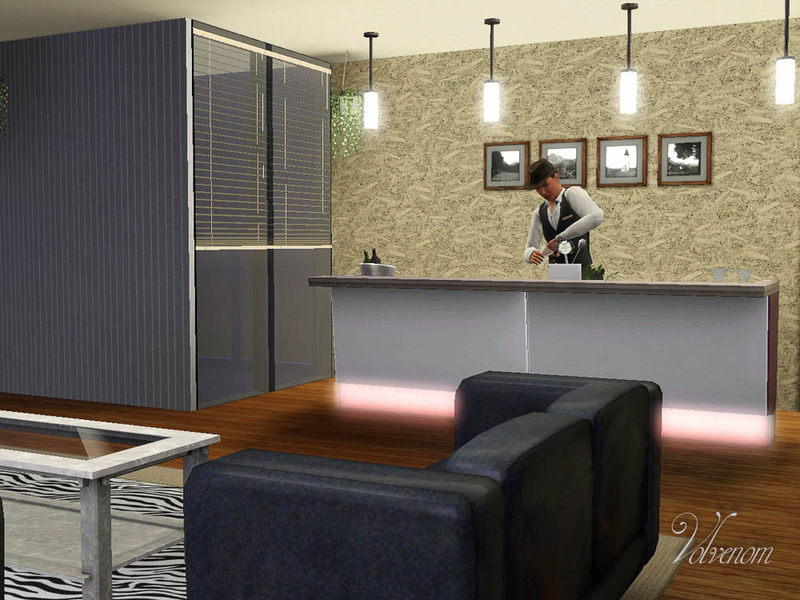 It's an NPC apt in the residential version, just open use in the resort version. a. 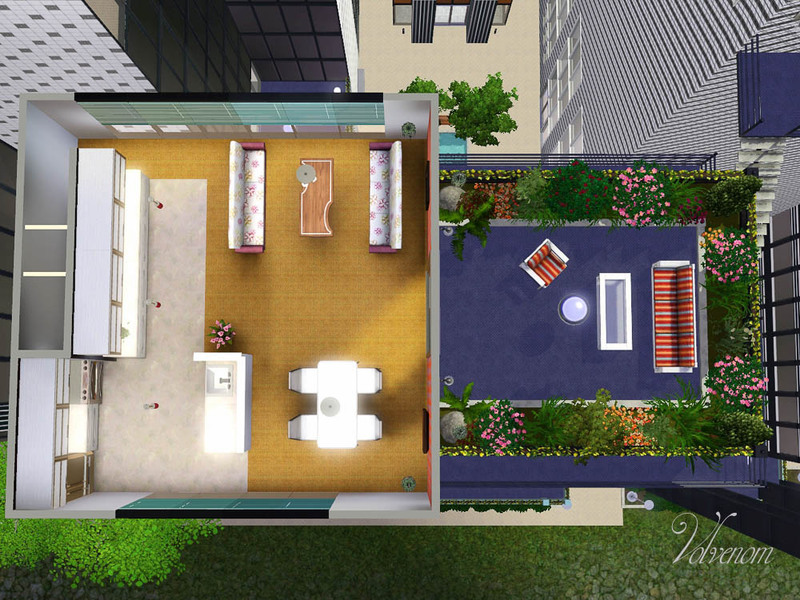 Ground floor with outside tables, elevator to 2 more floors of undecorated space. b. 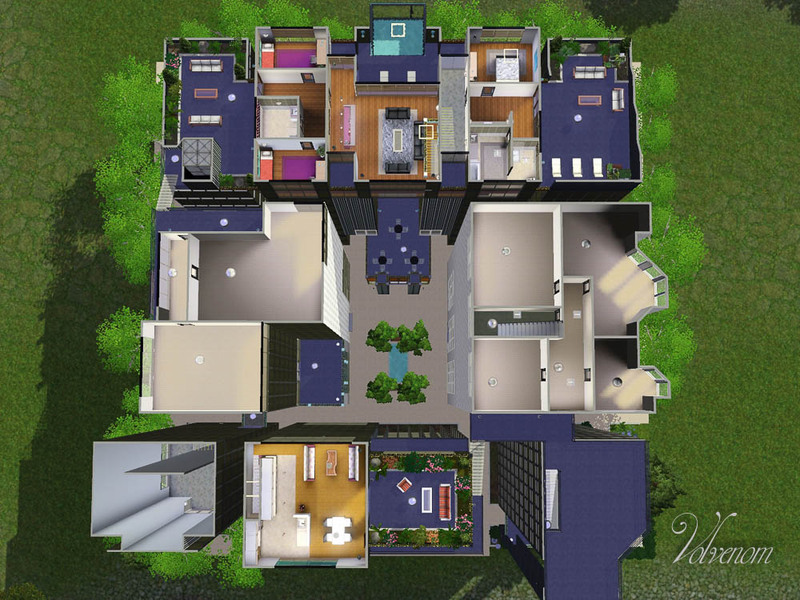 2 floor high penthouse apartment with a roof terrace. It's much smaller than the other one, 2 bd and 1 ba. Access with elevator. a. 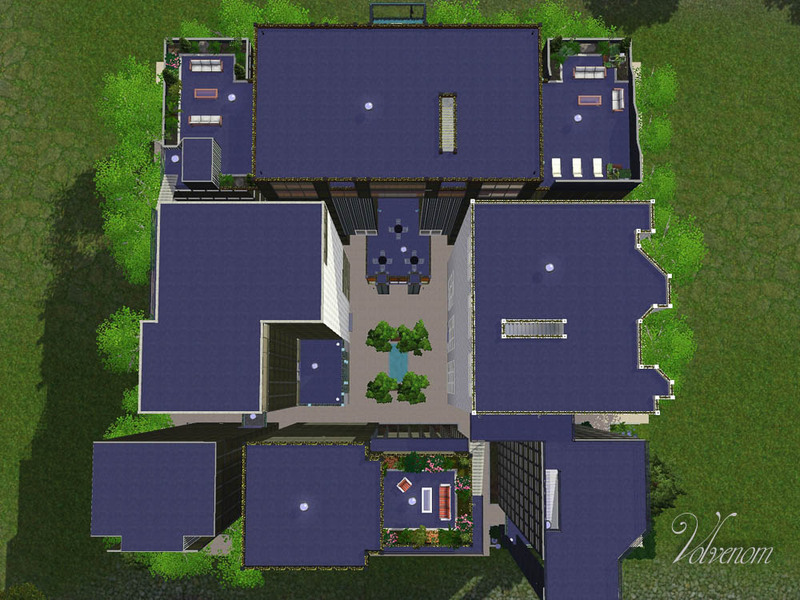 3 floors with access from ground floor and staircases. Undecorated. b. 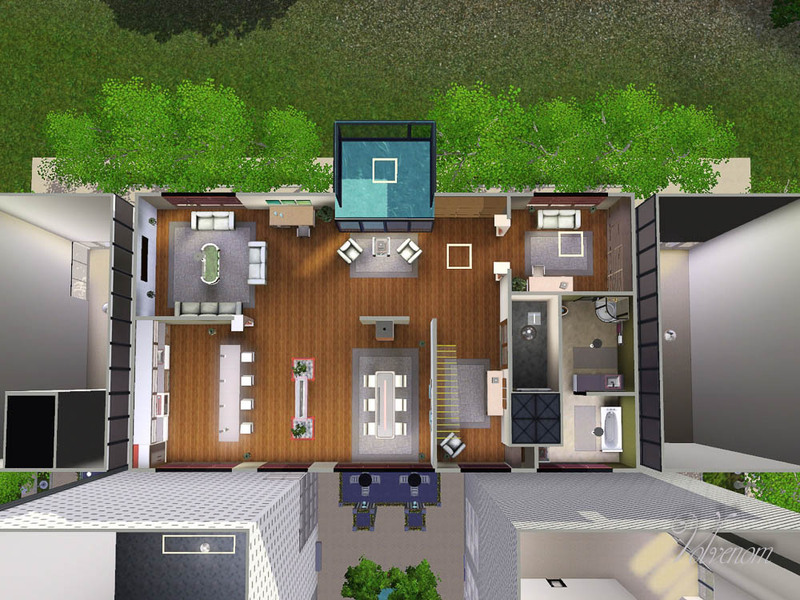 1 floor and a roof terrace with access via staircase from the roof. Undecorated. a. 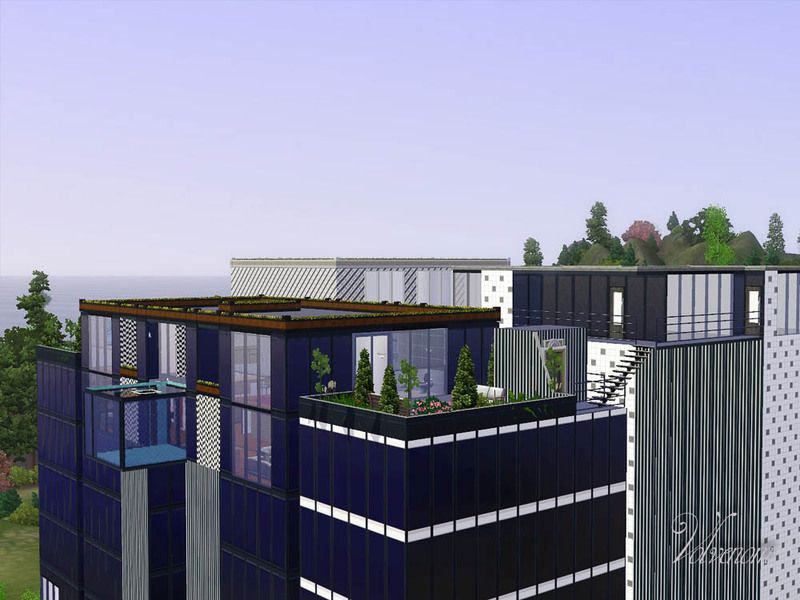 5 floors and a roof terrace with NPC or VIP rooms, no more decoration than needed. b. 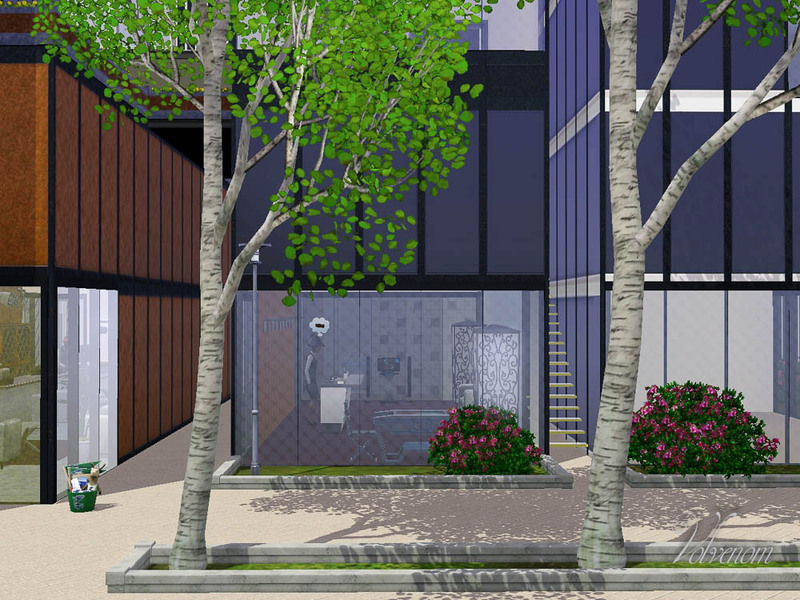 Ground floor has toilets and showers for anyone. a. 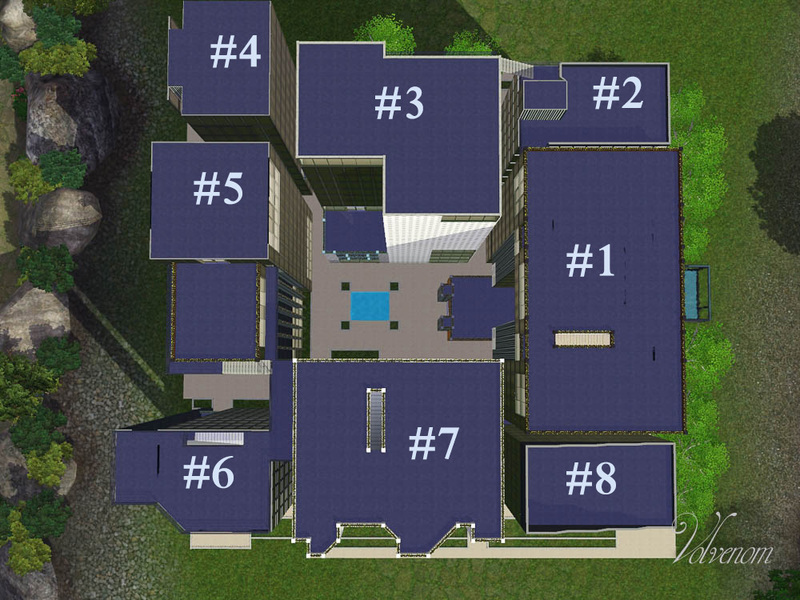 4 floors with access via ground floor door or staircase. b. Top roof terrace used by the top front side penthouse. I have used cfe on this lot, painting the ceiling is NOT recommended. 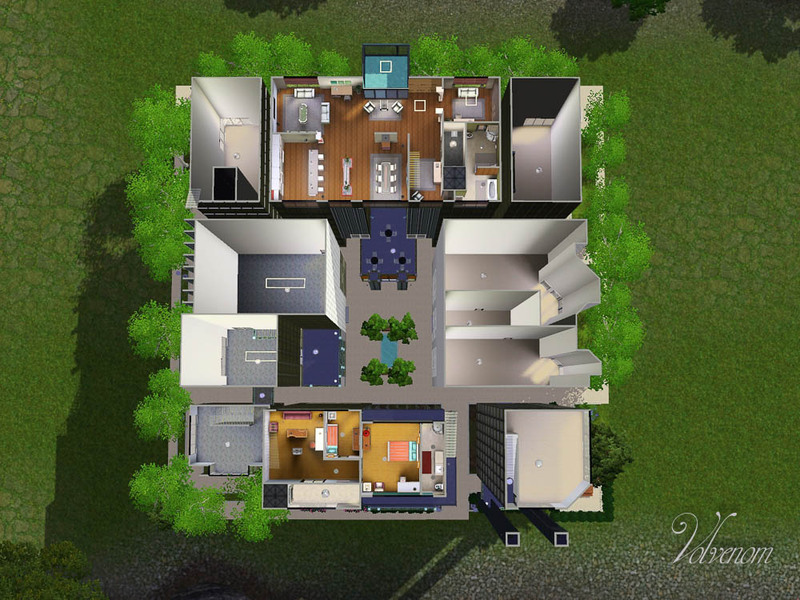 Buzzler: Buildbuyrestrictionchoker - to have residential dishwasher etc, on a community lot. treeag: AutoTestingCheatsEnabled and AutoBuyDebug - for those annoying cheats I have to use all the time. Alverdine: Alverdine_curtainsALL - to move curtains up and down. Simlogical Inge Jones: ij_TicketMachine, to have more people on any lot and make them pay at arrival. 53 people have said thanks to Volvenom for this download.